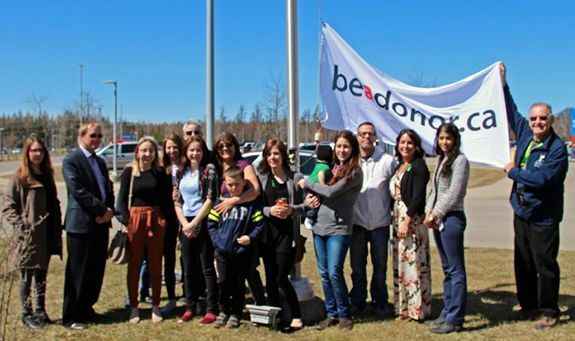 THUNDER BAY, ONTARIO - April 3, 2019 (LSN) – This week, Thunder Bay Regional Health Sciences Centre (the Hospital) is joining others to raise awareness about the critical need for more organ and tissue donors in our community and across the country. National Organ and Tissue Donation Awareness Week – along with the rest of Canada – takes place from April 21-27, and is an opportunity to not only celebrate donors and transplantation but to also raise awareness about organ and tissue donation, and to encourage people to register as donors if they haven’t already. 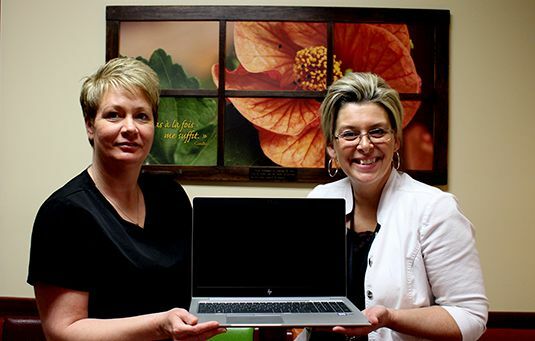 THUNDER BAY, HEARST, ONTARIO - April 16, 2019 (LSN) – New computer funded thanks to donors from the Northern Cancer Fund are, from Hopital Notre-Dame Hospital, Pascalle Payeur-Jacques, Registered Nurse for the Oncology Center and (right) Josée Mitron, Executive Leader Ambulatory Care. This computer will help facilitate the transmission of orders and documentation, allowing the caregiver to remain at the patient's bedside, providing safer patient care. 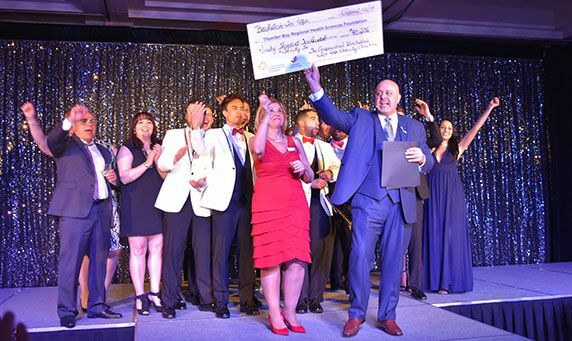 THUNDER BAY, ONTARIO - April 15, 2019 (LSN) – This year’s Co-Operators Bachelors for Hope Charity Auction raised a remarkable $90,236 for the Northern Cancer Fund, bringing the 21-year total to $1,330,957.76. 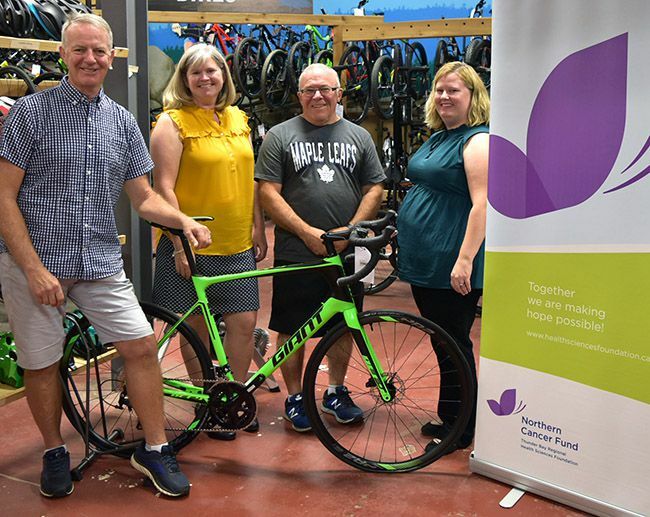 Funds raised directly support breast cancer research, education, diagnosis and treatment in Northwestern Ontario, ensuring women (and men) have access to exceptional cancer care at home. THUNDER BAY, ONTARIO - April 3, 2019 (LSN) – The Screen for Life Coach is on the road again, returning to a full travel season for 2019. The mobile health screening service visits more than 70 different locations in Northwestern Ontario throughout the year to provide breast, cervical and colorectal cancer screening. Lauren Beach, Mobile Coach Lead at the Thunder Bay Regional Health Sciences Centre, is preparing for the upcoming travel season. 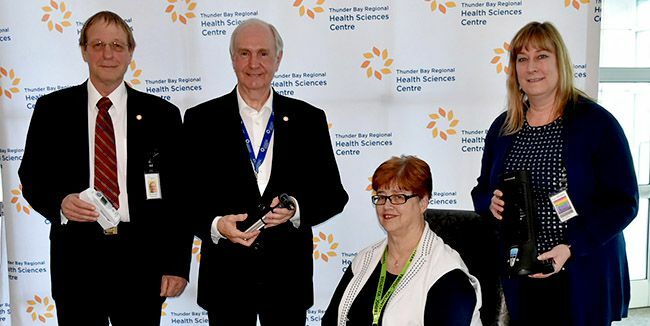 THUNDER BAY, ONTARIO - April 3, 2019 (LSN) – Positive change is coming to the retail food environment at Thunder Bay Regional Health Sciences Centre (the Hospital). After nearly two years of research, development, and engagement with staff, patients and community members, a new initiative called ‘Eating Healthy Together’ was unveiled today that is designed to provide a supportive, informative, and healthy food environment for consumers at the Hospital. THUNDER BAY, ONTARIO - March 27, 2019 (LSN) – An Influenza A outbreak has been declared on unit 1A at Thunder Bay Regional Health Sciences Centre (the Hospital). 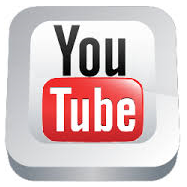 All patients and staff are being closely monitored for signs of infection and treated accordingly. 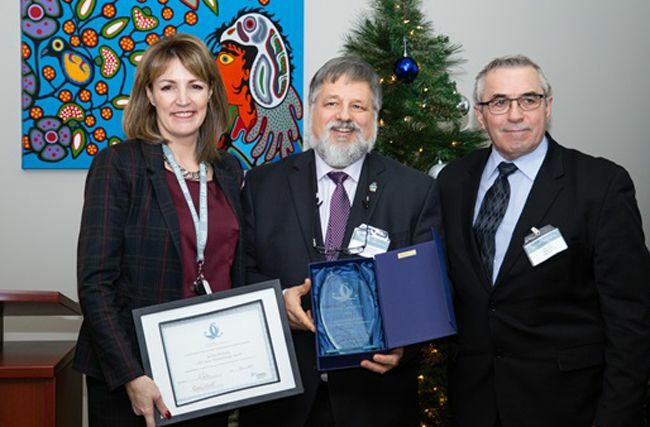 THUNDER BAY, ONTARIO - February 25, 2019 (LSN) – For the 10th year in a row, staff at the Thunder Bay Regional Health Sciences Centre have been applying for grants for the ‘little things’ that can make a significant difference to patient care. Thanks to funding provided by donors to the Thunder Bay Regional Health Sciences Foundation, along with the Volunteer Association to the Thunder Bay Regional Health Sciences Centre, this year $61,594 was provided to fund 43 Family CARE (Care Advancements Recommended by Employees) Grants. Cindy Lou Luhtala of Thunder Bay had great reason to celebrate this afternoon with a special surprise right before the holidays. 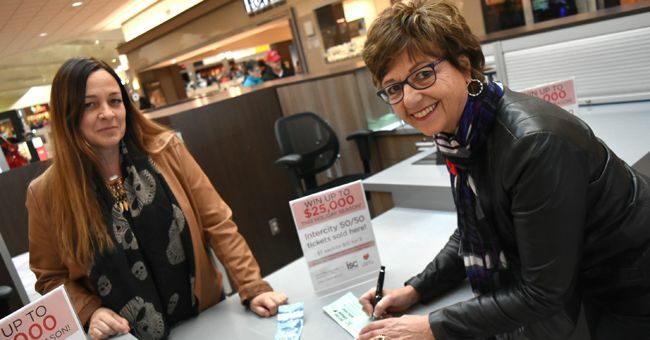 Today, at Intercity Shopping Centre, she was announced as the winner of $17,305 in this year’s sold-out Intercity Shopping Centre 50/50 Cash Draw (Ticket No. 8774). Altogether, 10,000 tickets were sold. 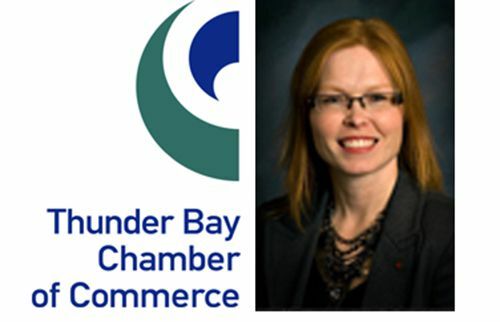 THUNDER BAY, ONTARIO - December 17, 2018 (LSN) I appreciate this opportunity to provide the perspective of the Thunder Bay Chamber of Commerce for consideration in the upcoming debate and discussion regarding the opportunity for cannabis retailers to locate within our municipality. Thunder Bay residents are already legally able to purchase cannabis online and will have the option to legally purchase cannabis in retail stores in other Ontario jurisdictions as of April 1, 2019. A 2018 report by Deloitte 1 estimates that the legal recreational cannabis market in Canada will generate up to $4.34 billion in total sales in 2019, of which up to $1.68 billion will be purchased in Ontario. Neigbourhood Pot Shops Who will TBay Council Support? COOK COUNTY, MINNESOTA - December 11, 2018 (LSN) Cook County, along with communities across the State, are recognizing County, City, Tribal, and State Health and Human Services Worker Day in Minnesota on Wednesday, Dec. 11, following a proclamation by Governor Mark Dayton. THUNDER BAY, ONTARIO - December 9. (LSN) The City of Thunder Bay Drug Strategy Committee made up of over 30 health agencies and community groups invites residents to share their input through an online survey about the future of cannabis retail in the City and whether or not allowing bricks-and-mortar stores would receive support from the community. 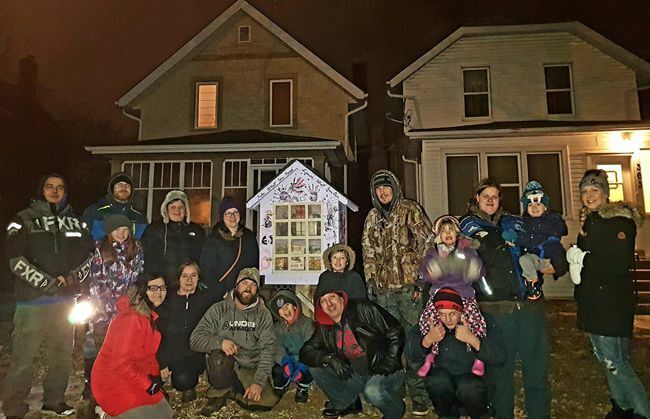 THUNDER BAY, ONTGARIO - December 2, 2018 (LSN) The Green Dream Team - Helping Hearts, is a volunteer group organized by Ashlee Burton as a way to create a healthier and happier environment within our community. Between April and October of 2018 she and her crew filled 364 bags of garbage and properly disposed of over 2500 used needles. These cleanups were conducted all over the city at locations either scouted in advance or called in by people who noticed problems. THUNDER BAY, ONTARIO – November 3, 2018 (LSN) It’s back again for its 19th year! 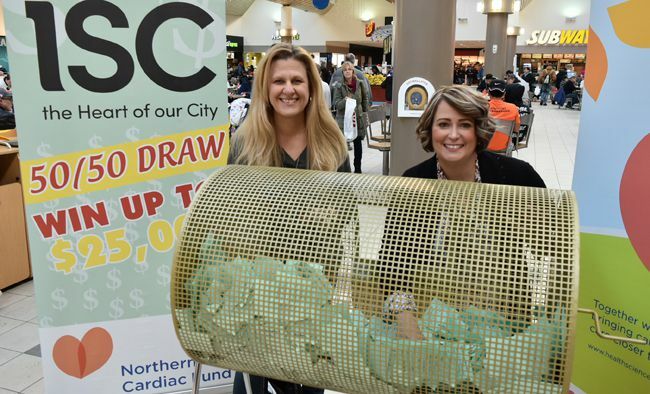 Thunder Bay’s most popular 50/50 Cash Draw launched this afternoon at Intercity Shopping Centre. In the past 18 years, this event has raised $197,072 to advance health care at our Thunder Bay Regional Health Sciences Centre. 100% of the funds remain in Northwestern Ontario to support world-class patient and family centred care for the people of our community. This year, one lucky winner will take home up to $25,000 in cash, just in time for Christmas. 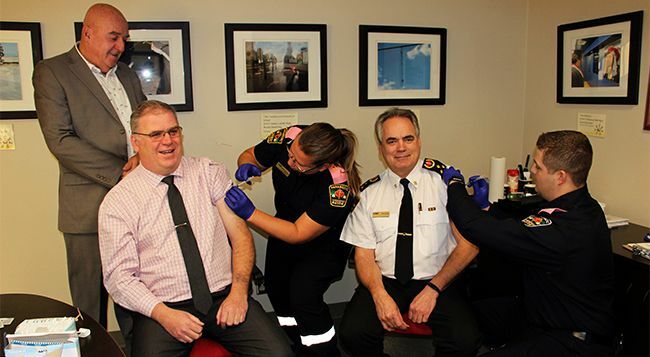 THUNDER BAY, ONTARIO - October 24, 2018 (LSN) The Mayor, City Manager, and Chief of EMS got their flu shot today at City Hall and are encouraging all City employees to do the same. Superior North EMS is delivering public clinics to anyone over the age of 6 months. They encourage people to come out and wear a tshirt to make getting the shot easy. SNEMS paramedics want to help keep residents healthy this Flu Season, and will once again be providing flu immunizations for City staff and their families to help lower the risk of transmitting the flu virus. They will also be offering clinics at their Junot Headquarters that will be open to all the public. 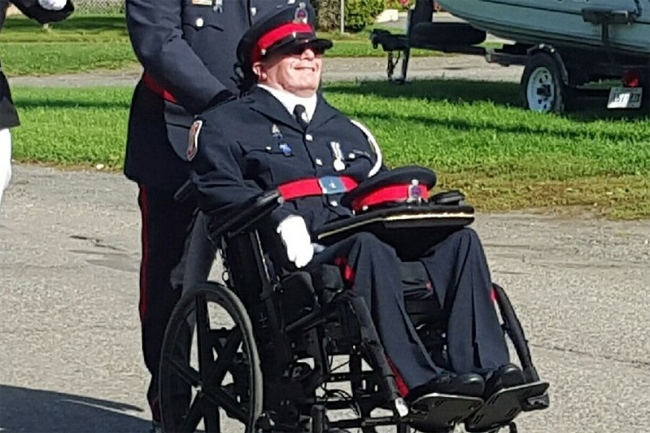 THUNDER BAY, ONTARIO - October 22, 2018 (LSN) PC Craig town was shot in September of 1991 by an assailant who grabbed Craig's gun in the station after Craig had arrested him. He was married and had two young children at the time of the shooting. Craig had the strength to survive the shooting but was left a quadriplegic confined to his wheel chair. 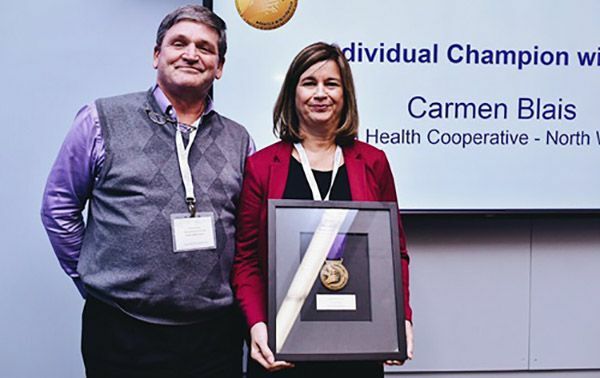 THUNDER BAY, ONTARIO - October 18, 2018 (LSN) Carmen Blais, a Clinical Coordinator at Matawa Health Co-operative, has been awarded a 2018 Minister’s Medal for her dedicated efforts to improving health outcomes for Indigenous communities in Northwestern Ontario. This is the first time an individual from the North West LHIN has been awarded a Minister’s Medal since the program’s inception in 2013. 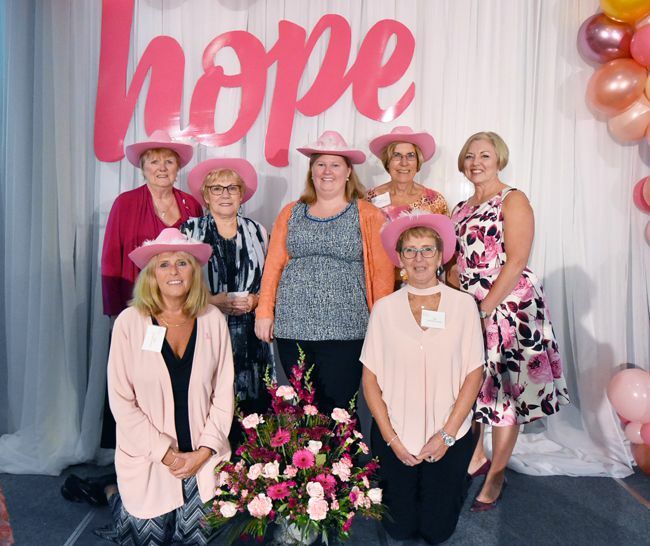 THUNDER BAY, ONTARIO October 1, 2018 (LSN) After celebrating its 25th anniversary last year, today, the Tbaytel Luncheon of Hope continued to offer women an incredible opportunity to gather together to share HOPE and raise funds specifically for breast cancer through the Northern Cancer Fund. Held at the Victoria Inn, over 400 women, and a few gentlemen, took a few hours to share stories, laughter and a few tears. THUNDER BAY, ONTARIO - September 25, 2018 (LSN) With less than a month until the legalization of recreational marijuana, a new study from the Angus Reid Institute finds Canadians are three times as likely to say that measures in the law will fail rather than succeed (57% versus 17%) at preventing minors from accessing cannabis after October 17, and twice as likely to say they lack confidence in the ability of their community police to assess and punish those driving under the influence of marijuana (60% to 32%). 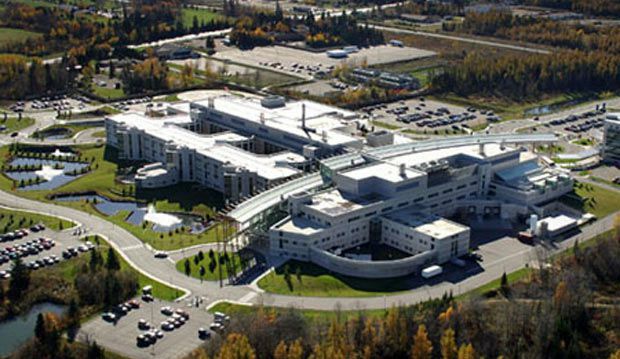 THUNDER BAY, ONTARIO - September 23, 2018 (LSN) Thunder Bay Regional Health Sciences Centre (the Hospital) has been ranked among the best. Accreditation Canada, a not-for-profit organization dedicated to engaging patients, policy-makers and the public to improve the safety and quality of health and social services, has awarded the Hospital an “A+”. Four Accreditation Canada surveyors visited the Hospital from May 14-18, 2018 to conduct an on-site assessment of the Hospital’s leadership, governance, clinical programs and services against a rigorous set of quality and safety standards and required organizational practices. THUNDER BAY, ONTARIO – August 31, 2018 (LSN) Patients and families across Ontario benefit from the newly expanded Northern Supply Chain (NSC) at Thunder Bay Regional Health Sciences Centre. The addition of the Ontario Association of Children’s Aid Societies Agencies (OACAS) to the NSC brings increased savings and efficiencies, making the NSC a leader in shared service organizations and one of the largest in Ontario with 85 members. THUNDER BAY, ONTARIO August, 8, 2018 (LSN) The Thunder Bay District Health Unit is continuing to manage an outbreak of tuberculosis in the city of Thunder Bay. The outbreak was declared at the beginning of March. 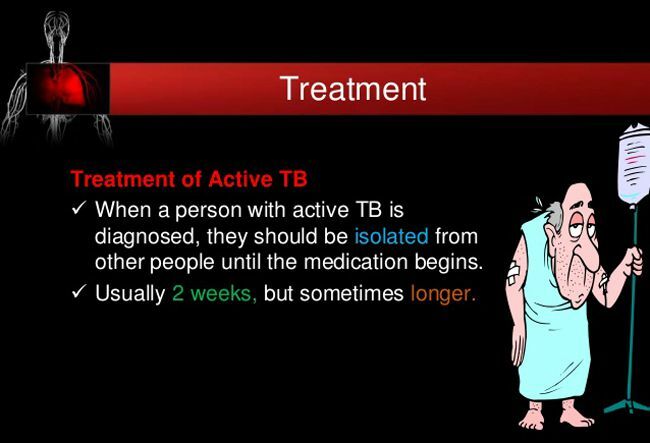 To date, TBDHU has identified eleven cases of active tuberculosis in Thunder Bay associated with this outbreak. Most cases identified have occurred in individuals who lack adequate housing. TBDHU staff has identified and are continuing to screen individuals who may have been exposed to active tuberculosis. TBDHU expects to identify additional cases through this screening process. 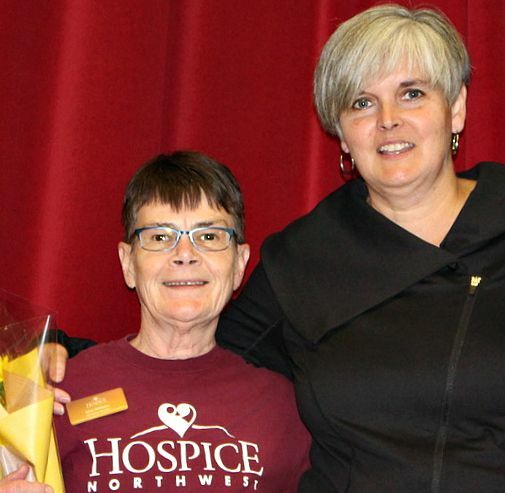 THUNDER BAY, ONTARIO - July 23, 2018 (LSN) The board of directors for Hospice Northwest is excited to announce the first new Executive Director for the organization in over 25 years. Cherie Kok has been selected to take over from Joan Williams, who had been with Hospice Northwest since 1993, when it was known as Via Vitae. Cherie holds a BA in Psychology and a MA in Philanthropy and Development. Complimenting those educational achievements, she brings with her experience from both the non-profit and for-profit sectors, as the former Canadian Red Cross District Branch Manager, as well as 10 years with the Chartwell Retirement Residences, including positions in recreation, marketing and management. THUNDER BAY, ONTARIO - July 11, 2018 (LSN) Young patients at the Thunder Bay Regional Health Sciences Centre (TBRHSC) and George Jeffrey Children’s Centre are now benefiting from the exciting Smilezone transformations revealed at both organizations in a special unveiling ceremony held today. Thanks to the Smilezone Foundation and the Staal Family Foundation, ten rooms at the hospital and children’s centre have received a bright, child-friendly makeover. The Smilezone team refurbished these ten rooms with fresh paint, bright murals, entertainment units, therapeutic equipment, and more – in hopes of improving the experiences of children while they receive medical treatment and therapy. 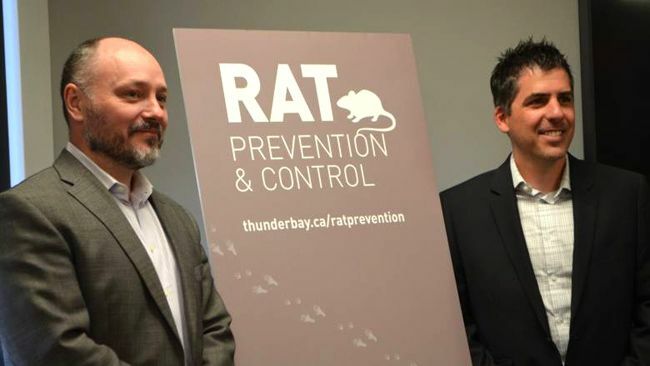 THUNDER BAY, ONTARIO June 17, 2018 (LSN) The City of Thunder Bay, in partnership with the Thunder Bay District Health Unit, launched its Rat Prevention & Control educational campaign, and unveiled a promotional video and brochure today. In 2017, City Council approved the introduction of a formal promotion and education campaign to educate residents on effective control methods to prevent an increase in the rat population. The City of Thunder Bay and the Thunder Bay District Health Unit have a long-standing partnership when it comes to enforcement initiatives and both operate on a complaint-driven system. 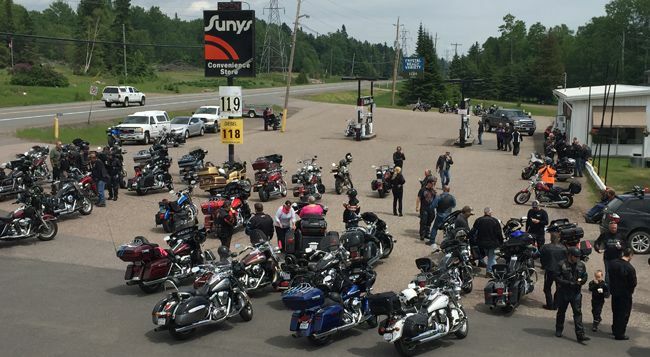 THUNDER BAY, ONTARIO – June 16, 2018 (LSN) The thunderous roar that marked the start of the Tbaytel Motorcycle Ride for Dad, presented by WINMAR was an in-your-ears reminder of the continued fight against prostate cancer in Northwestern Ontario. With hundreds of bikes revving their engines at once, the sound was deafening and brought with it an important message – we’re in this fight together and we won’t back down. The morning’s roar was not to be confused with the actual thunder storm that drenched riders late in the Ride in the afternoon. SUPERIOR, WISCONSIN – June 11, 2018 (LSN) The Wisconsin Department of Natural Resources (WDNR) has awarded the contract for implementing the federal Beaches Environmental Assessment and Coastal Health (BEACH) Act in Douglas County to the Lake Superior Research Institute (LSRI) at the University of Wisconsin-Superior for the third consecutive year. 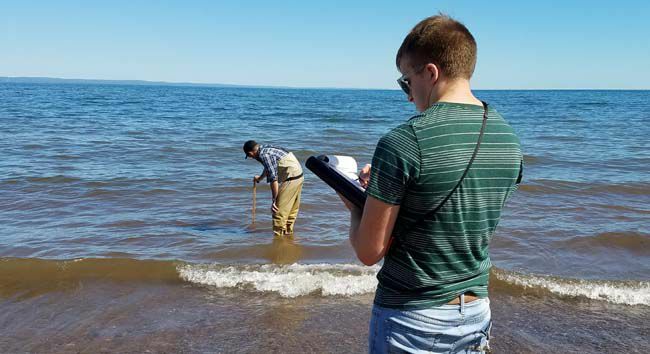 LSRI will monitor Lake Superior beaches for the presence of E. coli, a bacteria found in the environment that can make people sick, to reduce the risk of disease for users of coastal, recreational beaches in Douglas County. As part of this monitoring effort, LSRI will also collect sanitary survey data at each of the monitored beaches. These surveys are designed to collect data on parameters that may influence E. coli concentrations, such as wave height, water temperature, and number of gulls. Since bacteria samples have a short holding time of 24 hours, the proximity of LSRI’s laboratories, which are located on the UW-Superior campus, were a factor in LSRI being selected to conduct the testing.